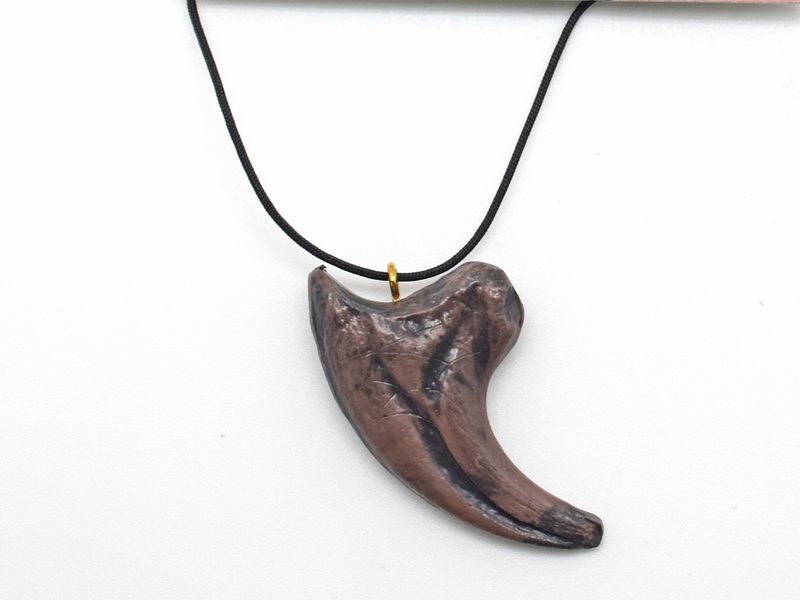 The realistic dinosaur claw pendants are hand painted and made in Canada from injection-molded plastic under the supervision of paleontologists to ensure accuracy and quality. 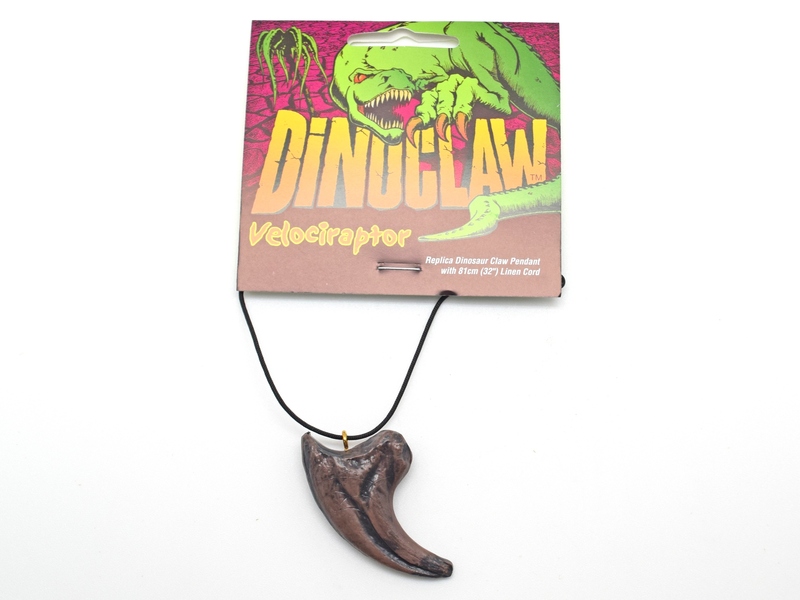 Each claw comes with an information card, and hangs on a black cord. Foot claw of the Velociraptor, a member of the Dromaeosauridae. This lightly built hunter was designed for speed and agility. Bird-like features of the skeleton of this group of dinosaurs indicates an evolutionary link between dinosaurs and birds. 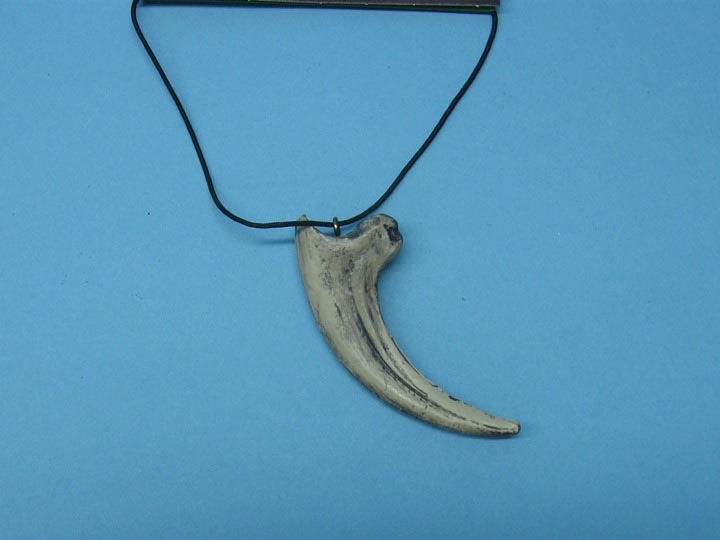 The claw is 2.25" long. 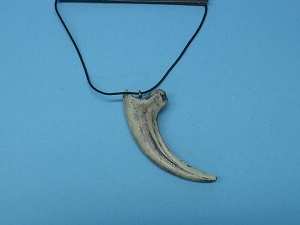 This killing claw is from the foot of the Deinonychus, family Deomaeosauridae. 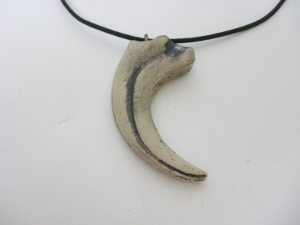 Fossil evidence suggests that these dinosaurs hunted in packs like wolves. They would attack with both claws at the same time, a feat demonstrating great agility, balance and speed. 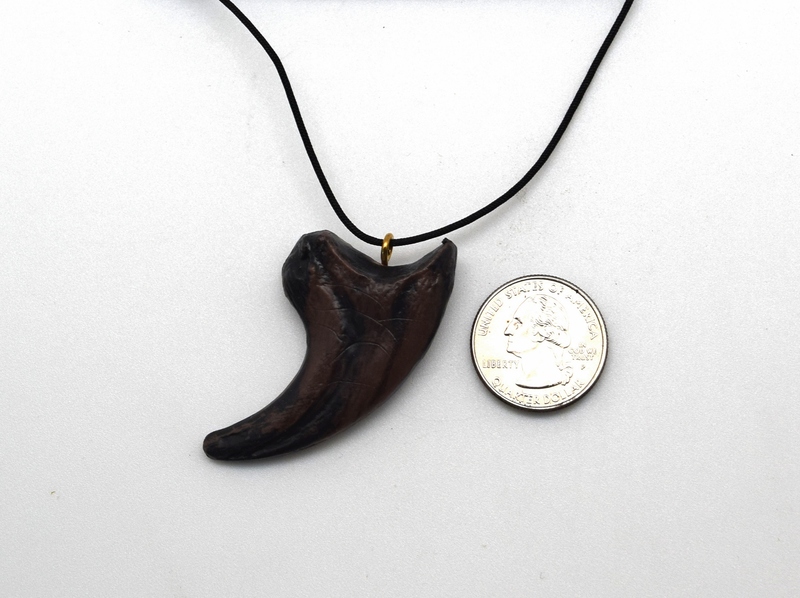 Second toe of the juvenile Gorgosaurus. 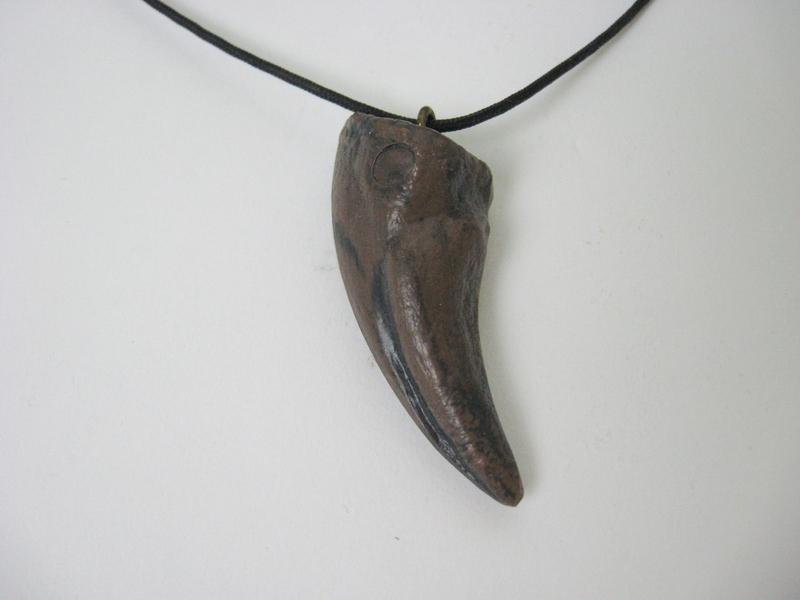 Although similar to the Albertosaurus there are subtle differences in the skull and the other bones. About 10 feet in length, young Gorgosaurus may have stayed together and hunted in packs before moving off into a solitary existence as they become older and larger. Sauronitholestes was a "raptor" about the size of a man. It had a larger brain than other dromaeosaurids, however, and may have had a poorer sense of smell. 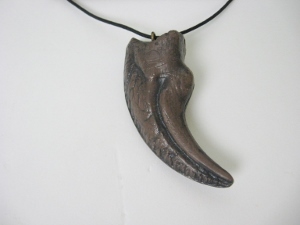 It was lightly built but had powerful hands and sharp, curved claws.